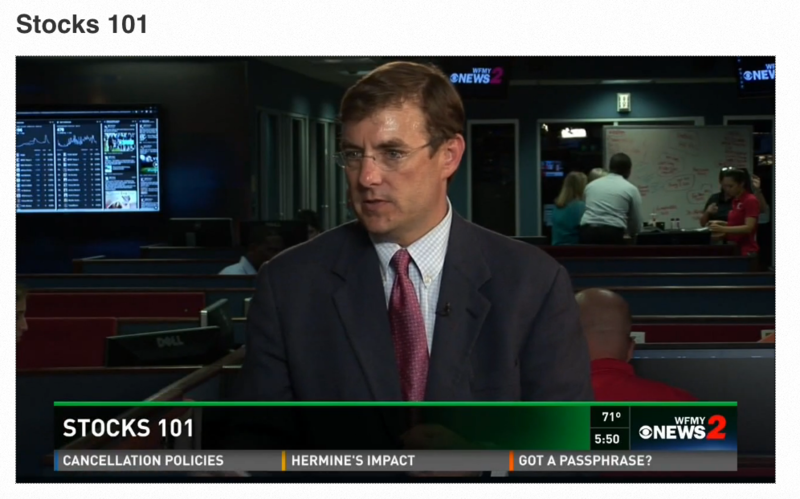 Here is a link to my most recent WFMY interview explaining how a stock works. Today I am taking us back down to the nuts and bolts of investing. While many of you own stocks either directly or indirectly through a fund in your 401k, I am regularly reminded in meetings that people many times don’t even know how a stock works. Today I wanted to take a little closer look so you can impress people with your financial knowledge while likely making sure you don’t get an invite back at your next cocktail party or social event. It is important to understand the basics of investing as it helps set the foundation to further understand how your own financial life works. All companies need money. Stocks are how companies sell a small portion of their company to raise money to help them operate or grow. When a company first sells stock, it is called an Initial Public Offering or IPO. A person who buys a share of the company is entitled to some of the profits of the company whether through dividends or growth in the company and share price. This is why people take part in the stock market so that they can attept to grow their After the IPO, stocks can then be bought and sold on a stock exchange. and sell. The New York Stock Exhange was founded on Wall Street in New York City. Hence, the common term Wall Street. In 1792 stocks were not traded on computers believe it or not. The first electronic exchange started in 1971 when the NASDAQ was founded. Now most all transactions with stocks are electronic. Now there are stock markets in most countries and can be traded from most places. This means that the stock markets have become much more efficient than they were in 1792 when buyers and sellers were simply looking for a more organized way to trade. When buyers and sellers can meet easily, economists call this efficient markets. This is how you get pricing that is fair no matter your location. While the markets are not perfect, they are the best way for people to take part in owning a small piece of a large company. With over 630,000 companies traded publicly, stocks can represent many different companies. In an effort to better organize those companies and tell what type of stock they are, companies are categorized. First, there are growth vs value stocks. I know that sounds tricky. Growth stocks are companies that are more focused on growing their company and value stocks are more stable and focused on paying dividends. The next way that companies classify stocks is based on their size. In the industry, this is known as market cap or market capitalization. Huge companies that have high market caps act a lot different than small companies with small market caps. This chart does a good job explaining the breakdown. The final way that companies and stocks are divided up is based on what kind of industry or business they are in. This is called sectors. You can see that there are multiple sectors that companies can fall in.